It doesn’t exactly get a great reputation. And I must admit that some of that is my own doing. …But I might have been wrong. True, the front office is better if you have the option. But if you don’t have that option, and you’re interested in the public markets, starting out in the middle or back office may not be such a bad idea. Just ask our reader today, who recently moved from a compliance role into Fixed Income Fund Management in Mexico. Q: Can you walk us through your background and what you accomplished? A: I went to university in Mexico City, majored in Financial Management, and also attended a study abroad program at one of the top state schools in the US. I did my first internship at a mutual fund as an Anti-Money Laundering (AML) Analyst, because the opportunity was there and I wanted to get experience working at a finance firm. Six months before graduating, I moved to one of the largest financial groups in Mexico as a compliance analyst in the brokerage team, and I continued working there after graduation. I stayed in that group for about a year and then transitioned into Fixed Income Fund Management, which is where I’m currently working. Q: When you contacted me, it seemed like you really didn’t like the compliance role. A: I wouldn’t put it that way, exactly. It was good because you get to see the big picture of the firm, understand what each area does, and grasp the importance of everyone’s role. So I think it is a reasonable place to start, especially if you’re not sure which group you want to work in. The problem is that you are literally “at the back,” and you spend a lot of time on tasks such as writing disclosures for research reports. I became more and more interested in doing the actual research instead of writing disclosures, so after about a year I began looking for opportunities in trading, equity research, and fund management. Q: So it sounds like it took quite a lot of effort to break in. How did you aim for roles such as trading, equity research, and fund management coming from your compliance position? A: The “networking” part was simple, because working in compliance gives you exposure to most of the other areas at the bank: trading, research, capital markets, investment banking, fund management, risk management, IT, HR, accounting, etc. I worked on quite a few projects with people across different groups, and after a year in compliance I reached out to my contacts very casually and explained that I wanted to move into more of a “markets”-based role. At the same time I spoke with my compliance managers, who supported and guided me through the entire transition – they understood my concerns very well, so the process was 100% transparent with them. Anyone who had worked with me before was happy to give me a referral, but I didn’t get a great response from the managers on most teams. Managers always wanted people with “previous experience” in a similar position. They didn’t want to hire inexperienced people because they would have had to spend time training them. They thought of me as “the compliance guy,” and assumed I knew nothing about the markets – even though I had a similar academic background to many of the front office staff. And at first, I didn’t have a great response to this. Q: So what did you say to persuade them? I highlighted my academic background and pointed out how I took courses in areas like econometrics, derivatives, and equity and debt capital markets. I pointed to the top state school I had attended for the study abroad program – many people in Mexico knew its name and reputation, but hardly anyone had studied there so it seemed quite impressive. I talked about pursuing the CFA and a Master’s degree to seem more ambitious. In emerging and frontier markets, those degrees and certifications help you stand out since people come in with very different skill levels. Q: But none of that actually helped you? A: Some interviewers cared, and some did not. But my main mistake was failing to frame my answer in terms of what was in it for them. But it’s difficult to learn everything when you’re already working full-time. 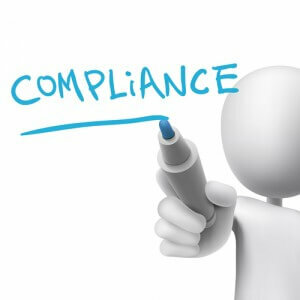 The results of the work I did in compliance helped me the most. I had an excellent evaluation and recommendation from my manager, which was why one of the teams gave me a shot. The Compliance Group Head, who also knew my work, did not want to see me join a competitor just to change jobs – so he helped me find a spot within the bank by giving me another strong recommendation. If they like you, they’ll do what they can to keep you there. Q: So what was the interview process with the Fixed Income trading desk like? A: They gave me 2 tests initially, and didn’t drop a single hint of what to expect. So I went in totally unprepared and didn’t even have a calculator. The first test was a standard math test with problems similar to what you see on the GRE or GMAT – but I hadn’t practiced in a few years so I didn’t think I would pass (I did, somehow). What is a zero-coupon bond? How are American and European options different? What are Alpha and Beta? There were also a few questions on Mexico-specific points, and a few basic valuation problems (e.g., which steps would you go through to value Company X). Q: And then you progressed to real interviews? A: Nope, an Excel test was next on the list. The Test: They gave me a massive database of bond rates over the past 8-9 years, and asked me to build a model that let you select one bond per day to be “the reference bond” for the 2, 5, 10, 20, and 30-year notes. So the model had to calculate the days until maturity for each bond on each day, select the one closest to 720 days, 1800 days, etc. and then pull in the corresponding rate for each day. Note: Mexican bonds are not generic, so the analysis is a bit different from what you do for US bonds. I made enough progress on the model to satisfy them – this part was actually easier than the first 2 tests because I had used Excel extensively in compliance and even back in university. Next, I had 2 interviews: first with the “Strategy Manager” and then with the Group Head of Fixed Income. They mainly asked about my background, said the area would be very quantitative, and asked if I felt comfortable with numbers. Then they asked about my future plans, whether or not I could handle the hours (I pointed to working part-time while in university to address that; also, hours in compliance were similar), and so on. Q: And I guess you answered everything quite well, since you got the offer. A: You could say that! So far it has been great because we use a lot more data than in compliance or AML, which makes it more interesting. The fund managers here are always coming up with new ways to predict future market movements based on past historical data, so we spend a lot of time implementing their ideas and coming up with our own. There’s also quite a lot of benchmark monitoring and monitoring of competitors’ portfolios and performance. Finally, my starting compensation is also around 40% higher than the starting compensation in my previous role (though still well below US / other developed market compensation due to the lower cost of living here). The downside is that there’s more daily stress on the job; compliance definitely felt like a more “relaxed” environment. Here, everyone’s working constantly and people are “attached” to their computers. You can walk around and hardly hear other voices on the floor. You still work with other people, but only those who are part of the Fixed Income team. You also do a lot of analysis on your own, whereas in compliance you spend more time working in teams, speaking with other groups, learning about their roles, and networking internally. So it would be tougher to move from my current role to another group at this bank. Q: Great. And what are the specific analyses you might complete on the job? How have local and foreign interest rates changed in the last few days / months / years? How has that affected us? What’s the portfolio duration for domestic vs. foreign investors, and what are our Fixed Income competitors doing? In what scenarios would we be better or worse off than similar banks? How much are our strategies earning each day? Why did we earn more or less than a peer bank, taking into account interest rate movements and current durations? So there’s a good amount of research and analysis required to get these answers, and it only gets more extensive as you do more work on the “investment recommendations” side. Q: Thanks for sharing all that. Q: And are you planning to stay there for the long-term? A: I’ll be here for a while, but I’m still pursuing the CFA and I still want to complete a Master’s degree in the US, work in the US, and gain experience in a major developed market. But I will come back to Mexico eventually and apply everything I learned to this market. I really enjoy investment management and have no plans to switch to something else, but things could always change.